One month down, eleven more to go! On Monday Hubs walked in and said, "I felt relatively cute today", so that was exciting! 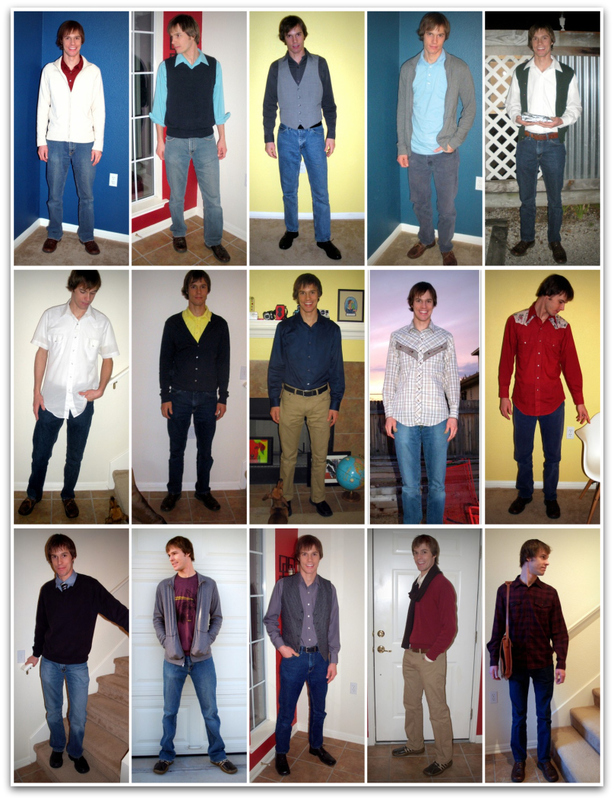 I don't think he would have felt cute at all in the same outfit four weeks ago. My favorite quote of his? "I’ve worn more vests than a cross walk guard." He didn't own any vests pre-makeover. Now I think he has six. Ruts can be good... as can be anchovies.